Nizhny Novgorod Aircraft construction plant SOKOL was created in 1932. It is one of the leading companies of the airspace industry in Russia. It has produced more than 43,000 aircrafts. The company is the successor of the Gorky aircraft building plant, named after Sergo Ordzhonikidze, operating from October 21, 1929. In August of 1932 the first aircraft took off – the I-5 fighter, a biplane of mixed structure, designed by a team lead by the outstanding designer Nikolay Polykarpov. From 1932 to 1934, the I-5 fighter was in mass-production, and starting in 1934, a new high-speed fighter, the I-16 was developed. The first prototypes of the I-16 were tested by Valery Chkalov, a Soviet Union Hero and a chief-pilot of the plant between 1934 and 1938, a legendary pilot who became famous all over the world with his non-stop flight from Moscow to USA over the North Pole. The year of 1949 was the starting point of the creative relationship between the plant and Mikoyan Design Bureau. From that time, the plant became the world’s well known producer of the MiG fighters. The first aircraft of this family is the MiG-15 jet aircraft designed by A. Mikoyan and M. Gurevich. It was mass-produced in the plant from 1949 to 1952. In 1950-1952 the combat performance of this aircraft was proven in Northern Korea skies. The MiG-15 fighter was produced under the license in Poland and Czechoslovakia. Between 1952 and 1954 the plant produced MiG-17 fighters. From 1955 to 1957 the first soviet supersonic aircraft was produced: MiG-19. In 1959 the plant started mass-production of the famous MiG-21, which became the most prolific supersonic fighter in the history of world aviation. From 1969 to 1985, the plant was mass-producing the fighter-interceptor MiG-25 - the first fully welded aircraft in aviation history, with 80% of airframe structure made of high-strength steel and titanium. The MiG-25 has established 29 world speed records, including climbing capacity and flight altitude; it not only defined the further development of world aviation, but initiated a new generation of combat aircraft. The development and mastering of this aircraft gave rise to a technical revolution in the company. Reconstruction, which began at the end of the 60s, made the Gorky aircraft building plant one of the most "high-tech" manufacturers in the industry. Starting in 1979, the plant was mass-producing a heavy long-range interceptor... the MiG-31, the first home-grown combat aircraft of the fourth generation. During 45 years of the MiG family mass-production, the plant manufactured about 13,500 combat aircrafts; the most famous of them – the MiG-21 and MiG-29UB – were exported to more than 30 countries around the world. During the 1990s the company started the major upgrade project for the MiG 21 / 29 / 31 fighters. In April 2004 the manufacture of the first combat-trainer YAK-130 was completed at Sokol. The aircraft, in its final configuration, made its first flight from the company's airfield. Sokol is a member of the United Aircraft Corporation of Russian Federation. 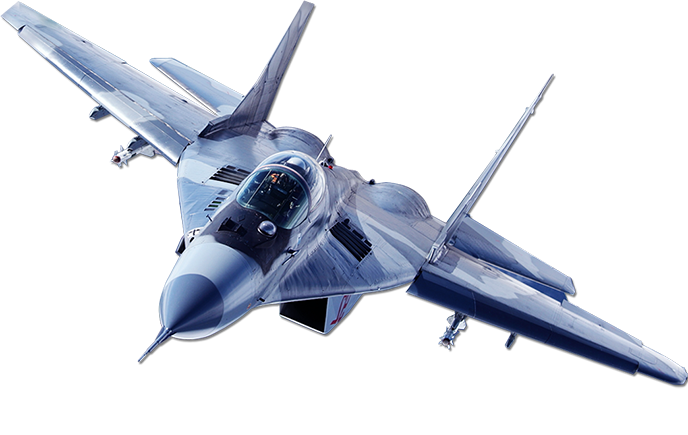 In 2008 the UAC Board made the decision to give the exclusive rights for manufacturing of the main range of MiG fighters to the Sokol air base in Nizhny Novgorod.